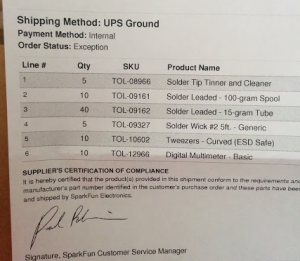 FamiLAB’s soldering supplies have been quickly dwindling, its soldering irons being used so much that they’re falling apart. We made it through teaching soldering at Maker Faire Orlando due to the generosity of Melbourne Makerspace (thanks for the loaned irons, guys! ), but we were in sore need of supplies. In came Gadgetcat! 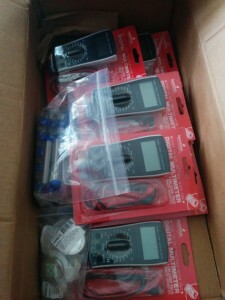 Gadgetcat was kind enough to donate 10 brand new Weller soldering irons, which will be used exclusively for classes.